Call in your reservations for our April 27 show with Kevin Burke to 401-725-9272. Kevin Burke’s fiddle playing has been at the forefront of traditional music since the 1970s. Kevin has earned international acclaim in both Europe and America as a solo performer, a teacher, and as a member of some of folk music’s foremost groups. In the mid-80s Kevin was a founding member of two influential groups – Open House and Patrick Street, whose recordings and performances were greeted with great acclaim both in Europe and US. In the mid-90s Kevin was a founding member of yet another enduring traditional group – The Celtic Fiddle Festival, this time with Johnny Cunningham from Scotland and Christian Lemaitre from Brittany. Although Kevin has spent much of his life playing in a group context, he has never lost his love for solo fiddle music – the “naked fiddle” as he himself sometimes puts it. 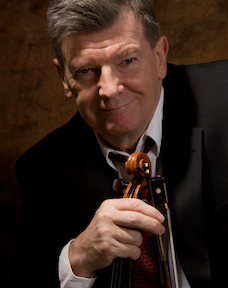 This is very evident in his new live solo release, “An Evening with Kevin Burke.” His contribution to music has received formal acknowledgement on both sides of the Atlantic where he has been the recipient of several awards including Ireland’s Traditional Musician of the Year, 2016, and a National Heritage Fellowship, the USA's highest honor for excellence in the folk and traditional arts. Call in your reservations for our May 4 show with Joyce Katzberg to 401-725-9272. 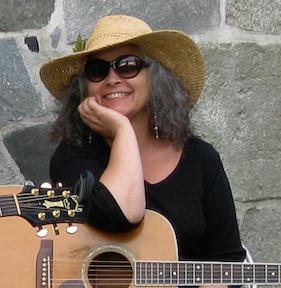 On the occasion of the centennial anniversary of Pete Seeger's birth, BRT presents Rhode Island's own topical songstress and cultural organizer, Joyce Katzberg in a celebration of the songs and social activism that made Seeger a permanent fixture in the history of folk music. As might be expected, there will be plenty of opportunity for audience participation. In the first set, performing 3 songs each, will be Partington & Sweeney, Jimmy Warren, and Bob Drouin. Joyce will then do a solo second set. Seeger and Katzberg first met in person in 1989 and went on to perform together several times in Rhode Island, Pennsylvania and New York. Katzberg is a co-founder of the former R.I. Labor and Ethnic Heritage Festival and Stone Soup Coffeehouse and credits Seeger as being the inspiration behind both. Mary Lee Partington has praised Joyce as "the First Lady of Rhode Island Folk" and goes on to describe her as having "a voice filled with her passion for social justice and her passion for life. With a vocal range as wide as it is deep, her singing style has a sultry substance – at times silky, at times smoky, always strong and vibrant. In a well-traveled career, she has sung beside Pete Seeger and an American grand choir of leading artists who have devoted their work to the cause of social justice, human rights, and our responsibility to care for one and all. If her voice has heart, it is because she has been at the heart of folk music in America while placing the truths she holds dear, in the spotlight." After more than a half a century on the professional stage, Katzberg plans to retire from performing in November, 2019. Partial concert proceeds will benefit Seeger's environmental organization, The Clearwater Fund. Please Note: Audience members are requested to be as fragrance-free as possible. Call in your reservations for our May 11 show with Haley Richardson and Quinn Bachand to 401-725-9272. Haley Richardson is a traditional Irish fiddler. Over the past ten years, she has amassed a long list of accomplishments and performed at venues all over the U.S, Ireland, Scotland, England, Canada, and Thailand. Haley, with her highly ornamented Sligo style perfected under the tutelage of fiddler Brian Conway, is the 2017 All Ireland U15 slow air champion, 2015 Junior Fiddler of Dooney, and in 2013 won All Ireland Championships in both fiddle and fiddle slow airs. In addition to multiple All Ireland medals, she is a 9-time MidAtlantic Fleadh Champion, winning her first championship in the under-12 age category at only six years old. With diverse musical talents and a bottomless pool of creativity, Quinn Bachand is recognized as the "Young Lion of the Celtic guitar" (Daniel Lapp). 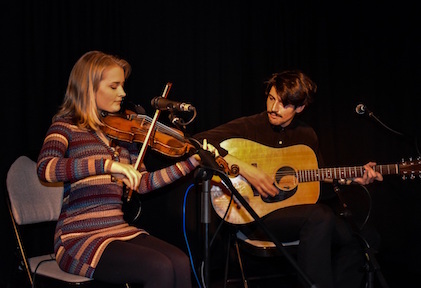 Although Quinn plays a range of styles that include jazz and bluegrass, it is his talents in the world of Celtic music that have drawn much attention. A gifted and creative guitar player, Quinn adds a contemporary edge to traditional Celtic music. His unique harmonies, hard-driving strumming, inventive chord voicing and powerful rhythmic effects make even the most well-worn tunes seem new and exciting. An in-demand sideman, Quinn has also toured internationally with well-known musicians including Canadian fiddling icons Ashley MacIsaac and Natalie MacMaster. Quinn is also a member of the Jeremy Kittel Band. Purchase tickets online or call in your reservations for our May 18 show with Karan Casey to 401-725-9272. Karan Casey has long been one of the most innovative, provocative and imitated voices in Irish traditional and folk music. Her career has spanned 25 years from the early days as a jazz performer in Dublin to her heady days in New York with the band Solas to her now established solo career and she has sold over half a million albums. Since Solas, Casey has carved out a unique place in contemporary Irish and folk music. She has recorded seven solo albums, has won Best Irish Female Vocalist twice, Best Irish Folk album and a Grammy for her collaboration with Paul Winter. Casey has also been nominated for the BBC Folk Awards and has performed with Peggy Seeger, Liam Clancy, James Taylor, and Tim O'Brien. 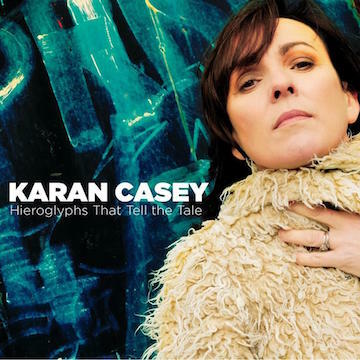 The Boston Globe says, "Casey's voice is among the loveliest in folk music and she's a wonderful interpreter of both contemporary and traditional material.” "Hieroglyphs That Tell the Tale" is the evocative title of the new album from Karan Casey, which sees her return to a mix of traditional and folk song imbued with a modern twist, sitting alongside some new self-penned songs. Casey has also recently spearheaded a campaign – #FairPlé (“Fair Play”) – to promote gender balance in the production, performance, promotion, and development of Irish traditional and folk music. Many performers – male as well as female, in Ireland and elsewhere, have strongly voiced their support for her endeavor to bring this important issue to the forefront. As for performing, for Karan, the criteria has always been, "Is it a good song? I'm always looking for stories that are sung well and delivered with meaning, and that’s what’s most important." Karan will be joined by Matt Heaton and Sheila Falls Keohane for tonight's concert. Purchase tickets online or call in your reservations for our May 19 show with Darlingside to 401-725-9272. Darlingside delivers a truly moving blend of subtlety, power, outstanding vocal quality and contemporary songwriting. The Boston-based quartet features four distinct voices clustered around a single microphone; their tightly-arranged tunes drawing from the unexpected, including strains of bluegrass, classical, and even barbershop. Accompanied by an arsenal of classical strings, guitars, mandolin, and percussion, these four close friends swap instruments from song to song and offer a sound that defies standard genre classifications. While the band's critically acclaimed 2015 release "Birds Say" was steeped in nostalgia and the conviction of youth, their new album “Extralife" grapples with dystopian realities and uncertain futures. Whether ambling down a sidewalk during the apocalypse or getting stuck in a video game for eternity, the band asks, sometimes cynically, sometimes playfully: what comes next? 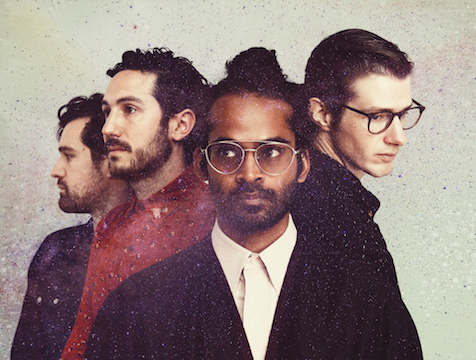 Hope arrives in the form of Darlingside's signature superpower harmonies, drawing frequent comparisons to late-60s era groups like Crosby, Stills & Nash, Simon & Garfunkel, and The Byrds. And yet, their penchant for science fiction and speculative futurism counteracts any urge to pigeonhole their aesthetic as “retro.” The four close friends construct every piece of their music collaboratively, pooling musical and lyrical ideas so that each song bears the imprint of four different writing voices. NPR Music dubs the result "exquisitely-arranged, literary-minded, baroque folk-pop" and calls Extralife "perfectly crafted.” With a sound nodding to the music of their parents’ generation, Darlingside has established a sound that is all their own. You can purchase advance tickets at Blackstone River Theatre OR online! Blackstone River Theatre moves our Celtic and world music programming outside on June 15 as we present the 9th annual Blackstone River Theatre Summer Solstice Festival to be held at Diamond Hill Park, Route 114, Cumberland. The family-friendly festival runs from 11 a.m. to 7 p.m. (rain date is June 16) and features three music stages, a dance stage, a session tent, and a children's activity area, all running continuously, as well as 40 food and craft vendors. Performing will be the Atwater-Donnelly Trio, The Hanneke Cassel Band, Kevin Crawford, Cillian Vallely & Patrick Doocey (from the group Lunasa), the Eastern Medicine Singers, The Gnomes, HighTime (from Ireland), La Croisée D’Antan (from Quebec), Bonnie Milner, Dan Milner, Partington & Sweeney, Roscommon Soles featuring Kevin Doyle with Sheila Falls, Josh Kane, Owen Marshall, Torrin Ryan, and The Vox Hunters. There will also be a session tent run by Bob Drouin and a dedicated stage for Irish step dance featuring Tir Na Nog Irish Dance. Sunday, Sept. 22 – Väsen 30th anniversary! Saturday, Nov. 16 – FUZEK-ROSSONI 30th anniversary!